Hi everyone! I wanted to share a little poster I made for my class this weekend. 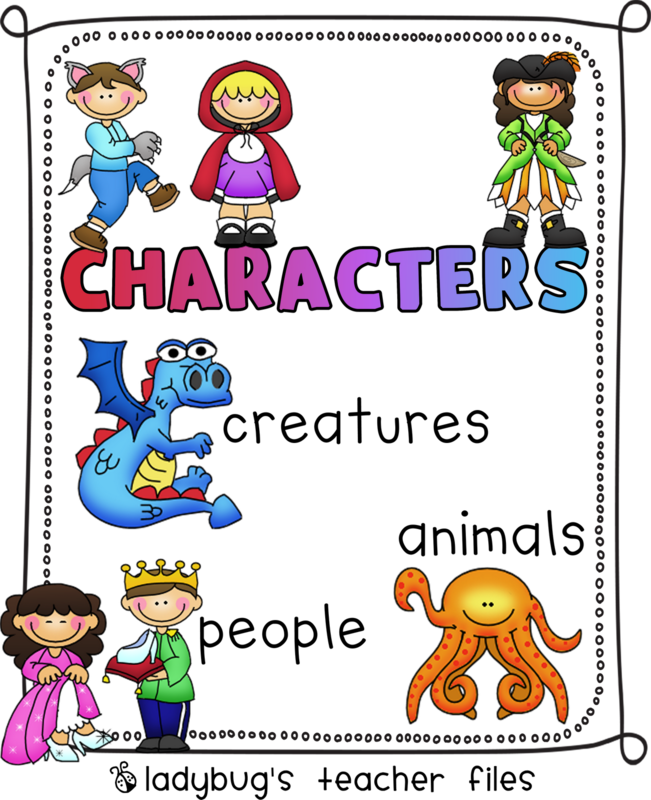 This past week, we spent a couple of lessons working on characters and character traits in Reader’s Workshop. I wanted to make a poster to serve as a visual for my students…I’m hoping to make more like this as we learn new story elements. I like to make as many visuals as I can to help my newest ELL students with concepts we’ve already learned before their arrival. So, back to story elements, would you like to see more posters like this? I will be creating them as the elements are addressed in class (since we are still getting accustomed to this particular Reader’s Workshop model). I would love to hear what you think. I hope you enjoy your evening! Optimum Organization: I Feel Like a New Teacher! Monday Made It: Cutting Oval Labels! I would love to have story element posters! I have a story element poster pinned on pinterest, and these would be a great way to introduce them to my kinders! Thanks Kristen! Kristin, I'm sharing the "I Heart Your Blog" award with you! Thank you for sharing your creativity with the world! I love your blog. Thanks for sharing so many great resources. I think you are a versatile blogger! I wanted to give you a small award to show my appreciation. I know you have probably already received it, but you are one of the teachers who got me addicted to blogging. Thanks. THANK YOU!! Love the poster AND of course we'd love to see more. Had you thought about strategy posters? Will check out the new graphic site…love the border. I would love to see more like this! So cute. To save money, another idea is to draw your own posters and then laminate them. I did this for my classroom, and the kids loved my drawings. love these–will for sure use! Love, love, love! These are wonderful! Thank you for sharing!! !